Maximum Protection Original Cream Deostick is Dove's most powerful antiperspirant and a must have for anyone who wants a deodorant that is tough on sweat, but kind to skin. The clinical strength antiperspirant provides up to 48 hours of protection against sweat and odour and has a subtle scent of fresh linen - so even if you're power cycling to meetings with your scary boss, you'll stay feeling dry and smelling fresh all day long. 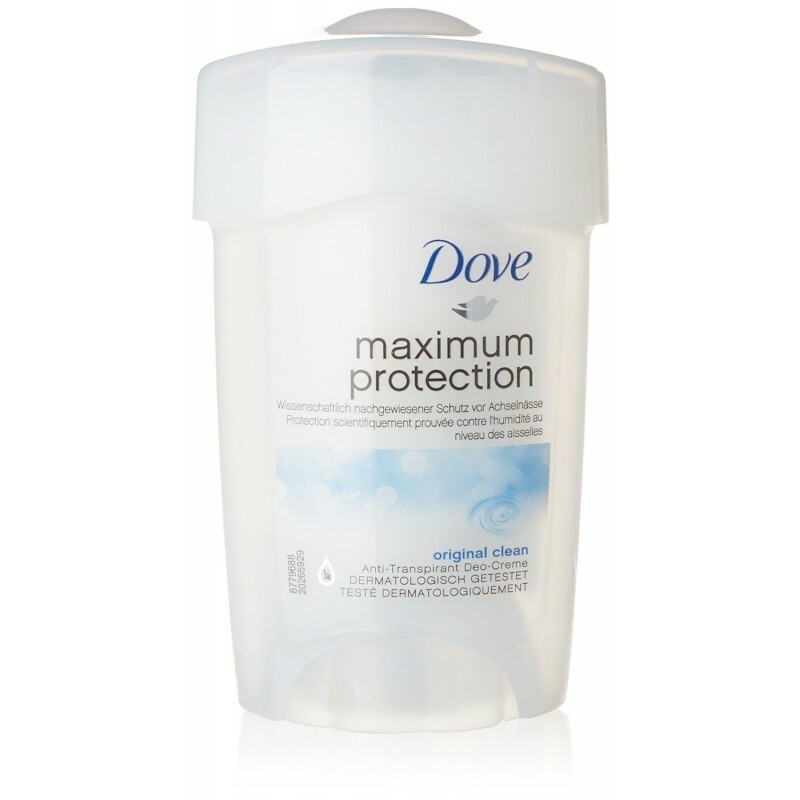 Staying true to Dove, the deodorant contains 1/4 moisturising cream to care for and nourish your skin; has 0% alcohol to reduce skin irritation; and has been dermatologically tested.